Never say never when it comes to Apple trying to expand its services by releasing iMessage for Android. We used to be under the impression that Apple would never, ever consider bringing iMessage to Android. Now, new information has surfaced that suggests otherwise. Apple has created internal mockups of iMessage for Android, according to John Gruber. 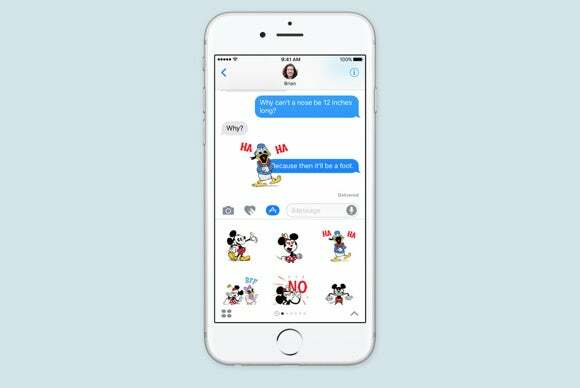 These detailed mockups were used to test the look and feel of the iMessage experience on the competing platform, but they have never been released publicly. “I’ve heard from little birdies that mockups of iMessage for Android have circulated within the company, with varying UI styles ranging from looking like the iOS Messages app to pure Material Design,” Gruber wrote on Daring Fireball. The Apple Music app for Android, the only Apple service to have made the crossover, features Android fonts and Material Design. Why this matters: Just because Apple has considered iMessage for Android to the point of actually making mockups does not mean that it’s bound to happen. There’s a reason why these mockups have yet not materialized. Apple seems to have come to the conclusion that keeping iMessage exclusive to iOS devices brings added value to owning an iPhone or an iPad. Furthermore, iMessage already has 1 billion active users, which is enough to power machine learning. Apple Music is cross-platform, but that’s a paid subscription service that helps boost Apple’s total revenue. Bringing iMessage to Android, on the other hand, seems to offer very few benefits to Apple. In fact, it might actually help Google convince iPhone users to pick up a Pixel instead. Then again, Apple might try to make the most out of its services by making them all cross-platform. In the latest earnings call, Apple services like Apple Music, Apple Pay, and the App Store were the silver lining to disappointing iPhone sales. Apple services have nearly doubled in revenue in the last four years, Tim Cook said. 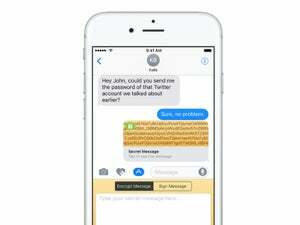 The popularity of iMessage could help add to that bottom line if Apple decides to monetize its messaging service somehow. 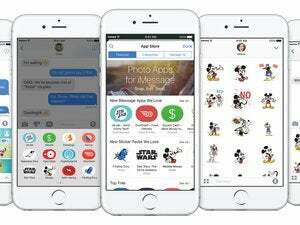 On iOS 10, Messages has its own App Store, and Apple gets its standard cut of sales from sticker packs, games, and other iMessage apps. Assuming that store doesn’t go cross-platform with the base iMessage services, maybe Android users would get sponsored ads with their iMessages instead. That strategy wouldn’t fly with iPhone users, but people using Android are used to advertisers using their personal information like that—right?